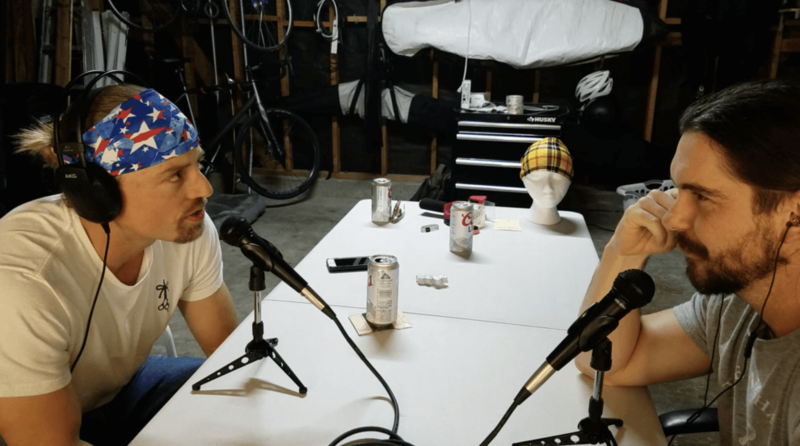 In the show’s much-anticipated Episode 1, host Matt Forte interviews El Moreno and El Rubio about The Longhairs community and how it’s enabled connections both close to home and around the world. Not only did we have a great time rapping with El Forte, but we uncovered some deep truths about what this community really means. We were honored to be the inaugural guests on the show. So grab a chair, kick your feet up and listen to The Longhairs on the Forte Podcast. Do us a favor, go follow our boys over at Forte on Soundcloud. Hmmmm. Maybe I should have the longhairs mark embellished upon my body. A great listen boys and good to hear that there are lots more products on the horizon, get busy creating that storage space and try to stock up well as the demand will be high! I especially liked hearing Sigma Nu so early, ahh who am I kidding, I liked hearing the shout out to “Why Did Sam Do It?” And it wasn’t for free hair ties! You know it man! Legendary. Your support is AMAZING. Thanks for the inaugural episode and all that you guys do for the flowing manes! Hell yes man! Thanks for having us on the show! Now to start growing your hair out….